The tropical weather is hot and humid. 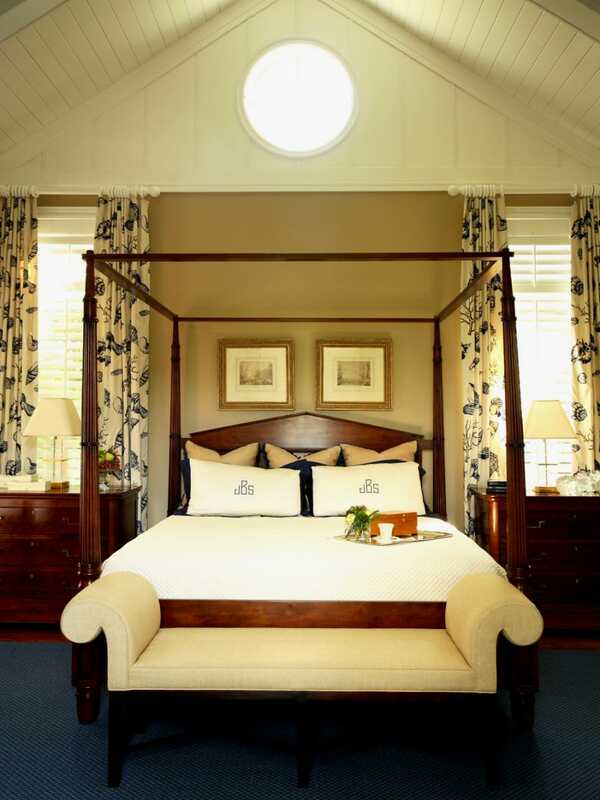 So, when it comes to decorating the bedrooms in such areas, what one looks for is an amalgamation of cool and coziness. This means you need some bright and cool colors that would help you to relax in your cozy abode after a long and tiring day. This is definitely not that hard. 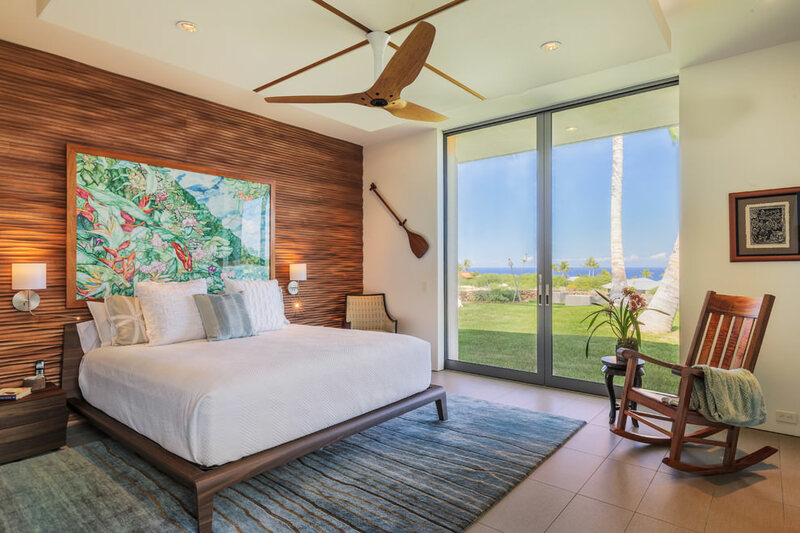 However, if you seem to have a creative block and just don’t know how to do up your tropical bedroom, take a look at some of these amazing ideas. These are sure to inspire you and help you in coming up with ideas of your own. In case, you are thinking of giving your bedroom a chic and stylish design, then this idea should give you enough inspiration. Paint the walls an elegant shade of cream or beige. Put in a modern style bed in rosewood with a side table to match. 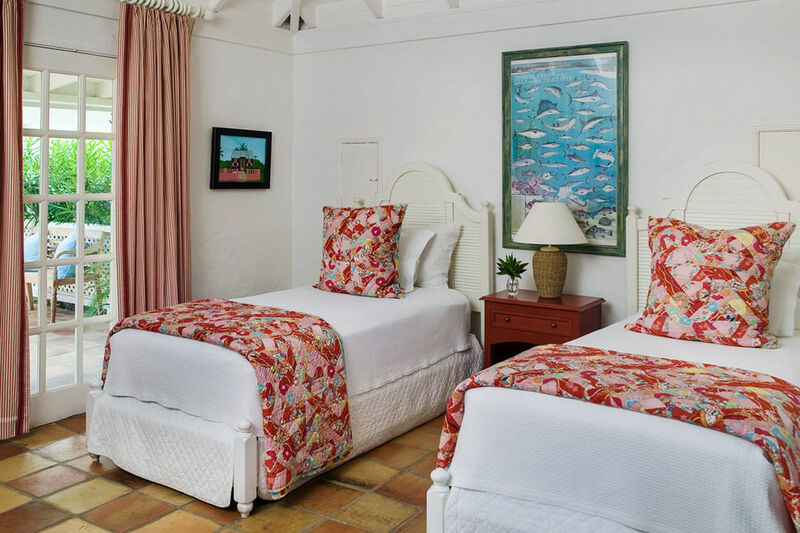 Cover up the bed with light colored bed covers and matching covers for pillows and throw cushions. A reading light with a white lamp shade on the side table would look quite elegant. You can create a seating area across the window sill by adding in a mattress and some cozy throw cushions which are the same shade as that of the bed cover. 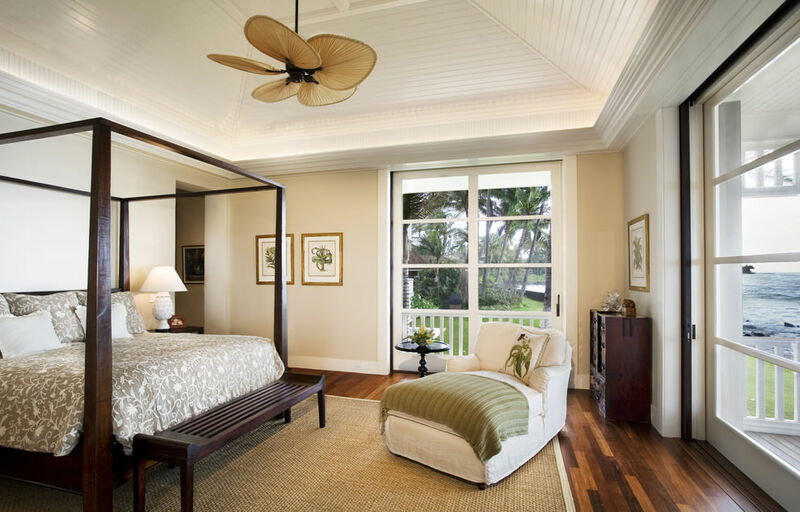 Pick a stylish fan for the ceiling. A sloping false ceiling in white will complete the look. 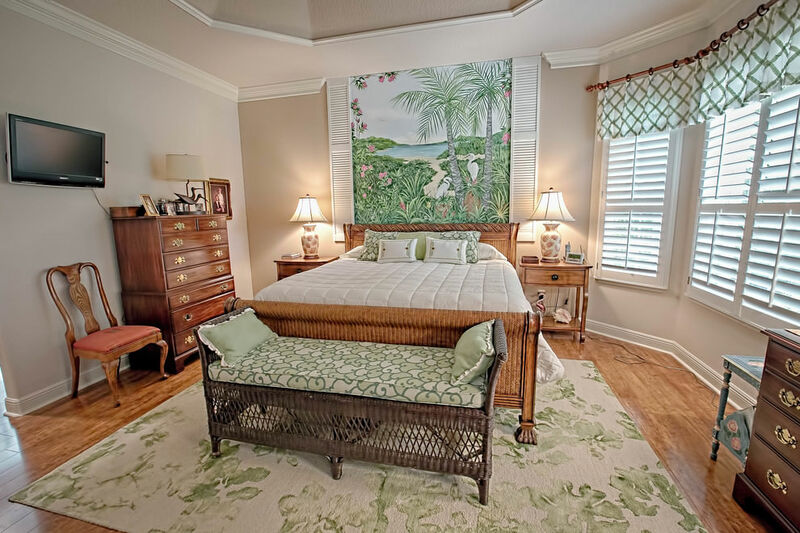 A tropical bedroom in white can help you relax. 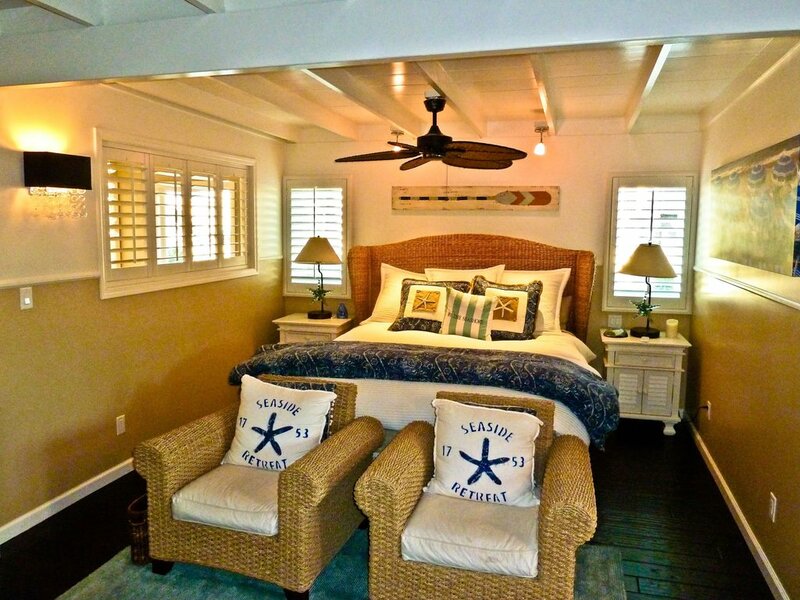 Paint the whole room in white and go for a king size bed. 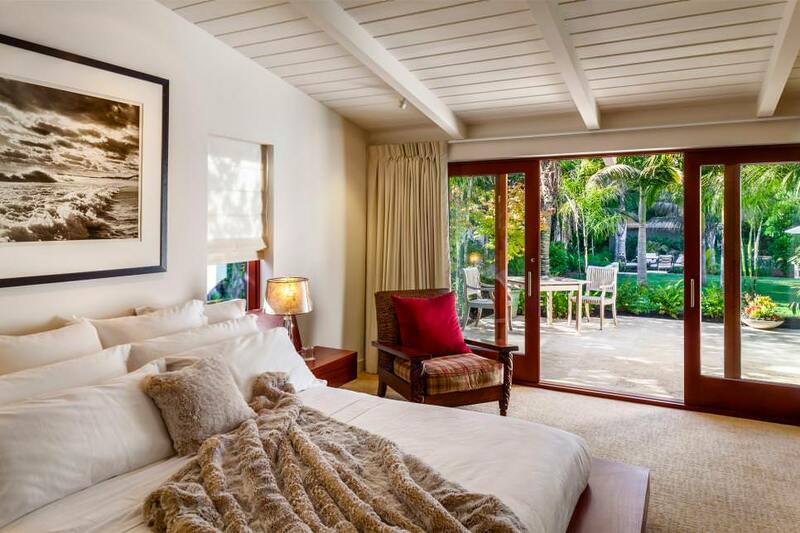 Use white covers for the bed, pillows and comforters. Add in throw cushions dressed up in bright cushion covers, preferably with geometric patterns. Paint the windows in white but use rosewood for the doors. 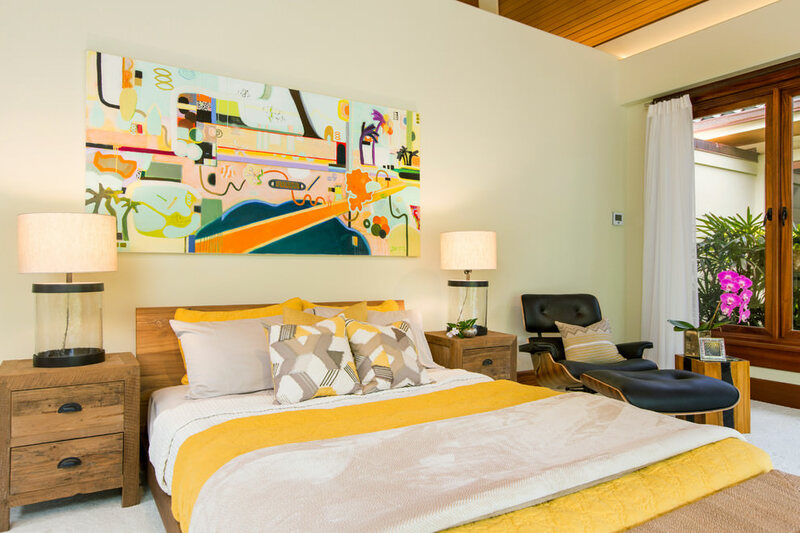 Bring in some cheer by hanging a modern art on the wall facing the bed. A black rug on the floor and a wooden chair with slats can complete the look. 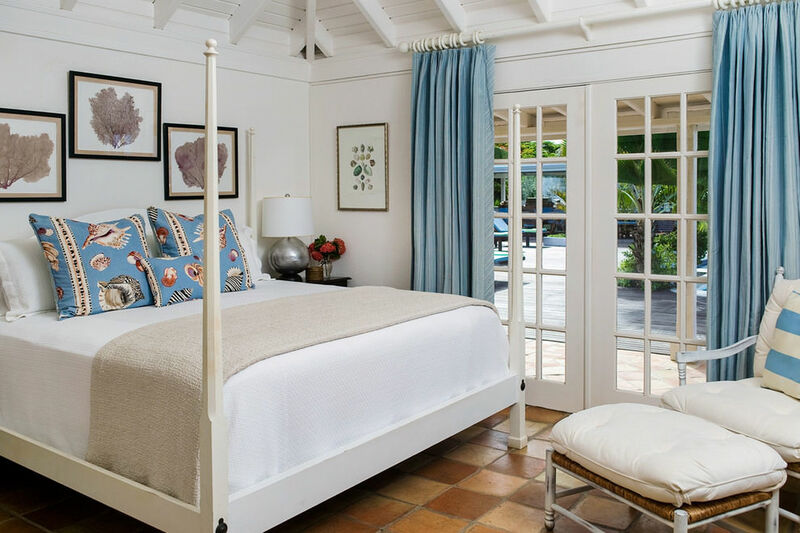 Mix up rusticity and elegance to create a perfect tropical bedroom design. 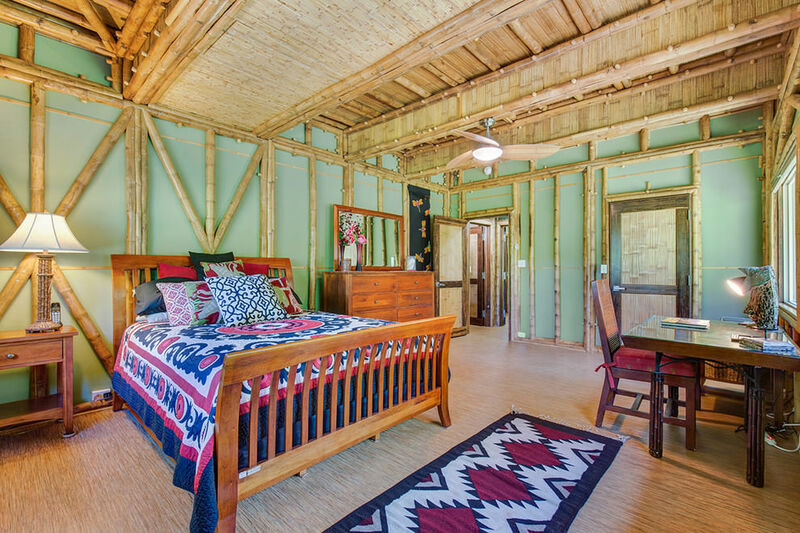 Create a canopy shaped false ceiling in wood for your bedroom and use bamboo poles to accentuate the window and door frames. 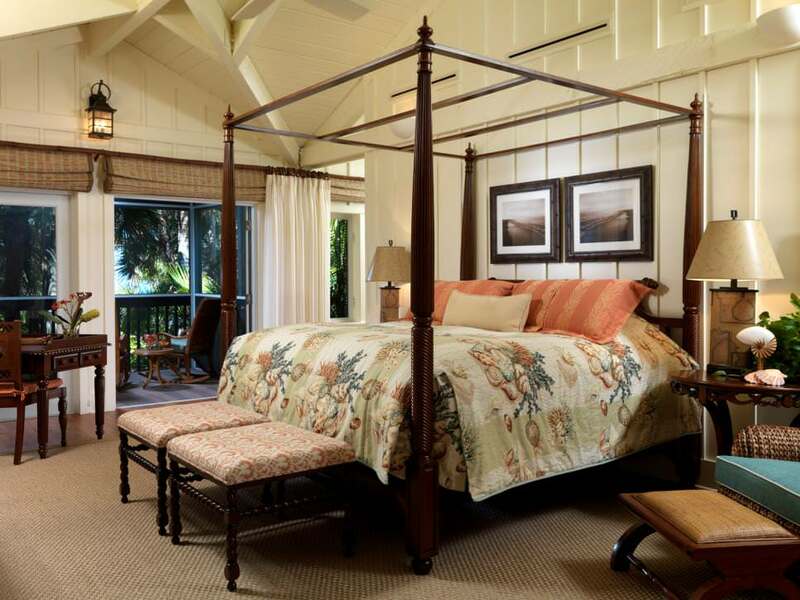 Go for an elegant teak wood bed and dress it up with some colorful bed cover. Pick pillow covers and throw cushion covers in vibrant shades to give a cheerful look to the room. A classic lamp by the bedside and a multi-colored rug at the foot of the bed would transform your bedroom a rejuvenating haven for you. If you are thinking of giving your room a simple yet classic look, go ahead and paint the walls a pastel blue to give it a cool quotient. Use white for the ceilings and the window frames. Go for a rosewood bed and a dresser to match. 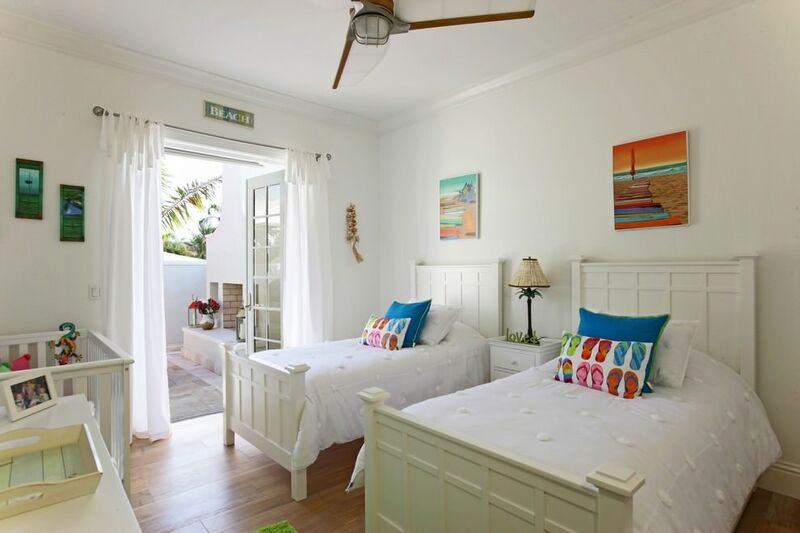 Pick bedcovers and throw cushion covers in white and add a touch of color by using blue pillow covers. A white lamp on the side table will add to the elegance of the room. Create a seating area by adding in a fabric sofa in pastel blue with white throw cushions. Dress up your windows with blue floral curtains. Bring in the outdoors by adding in an indoor plant. 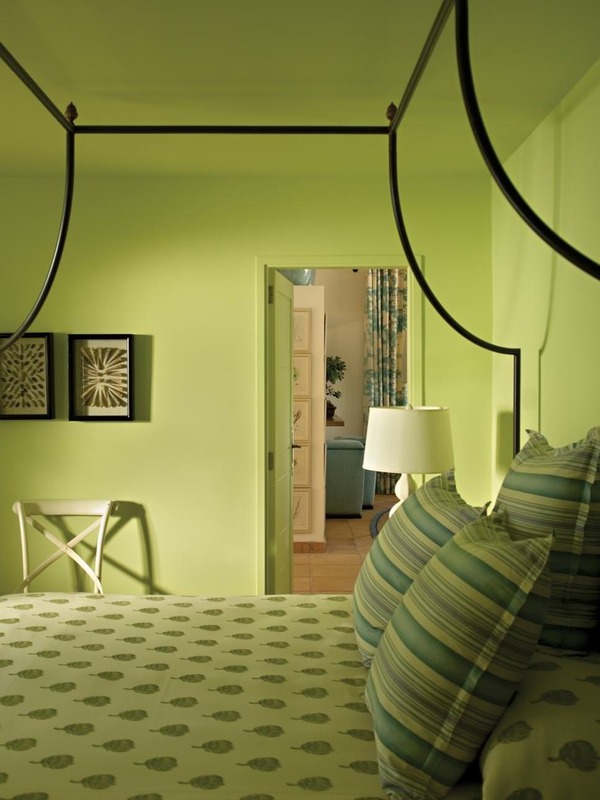 Bright colors in the bedroom look chic and are an instant pick-me-up for your mood. 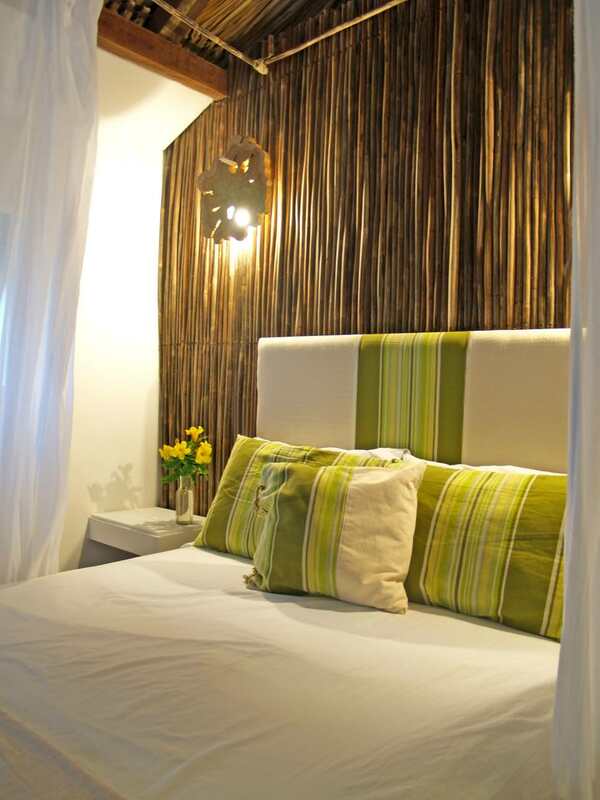 Paint your bedroom walls in cream and then place a bed made of textured wood. 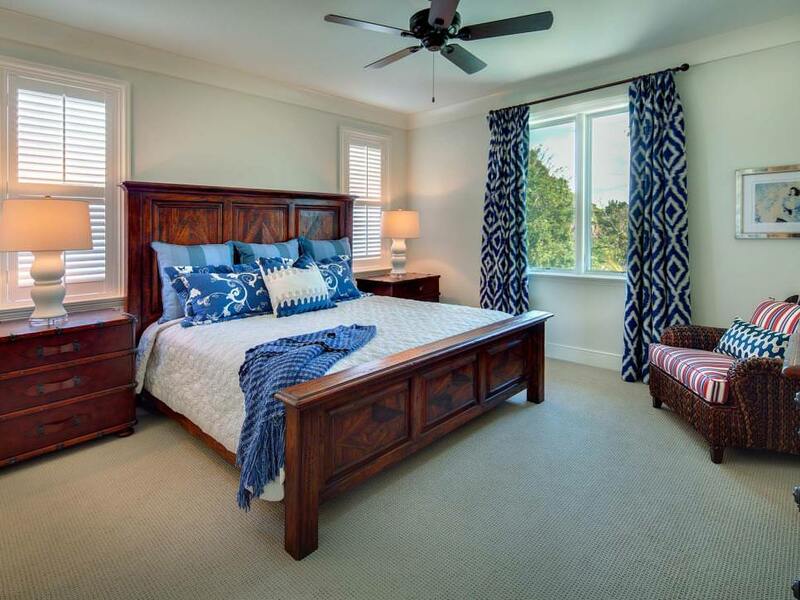 Pick identical side tables to be placed on either side of the bed. 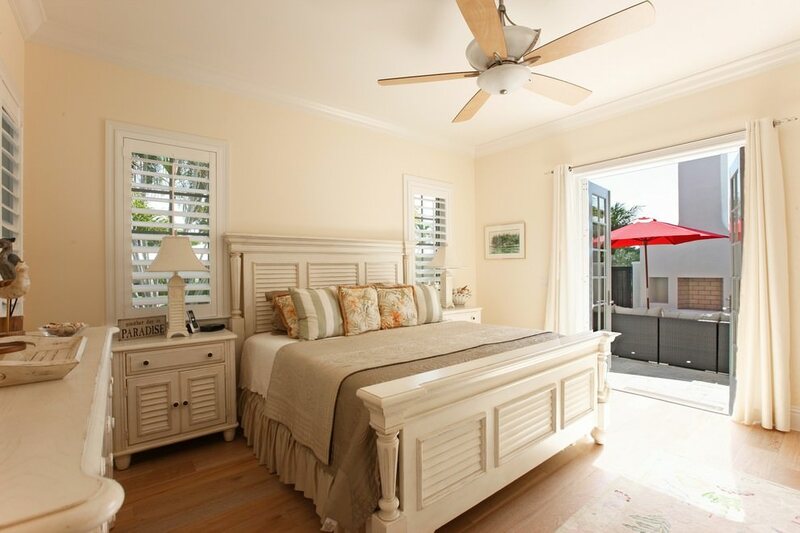 Cover your bed with white bed covers that have bright yellow borders and pick a matching comforter. Alternate between white and bright pillow covers and add in throw cushion covers with geometric patterns in yellow. Put up a vibrant modern art piece above the bed and place contemporary reading lamps on the side tables. For a seating area use an elegant recliner. 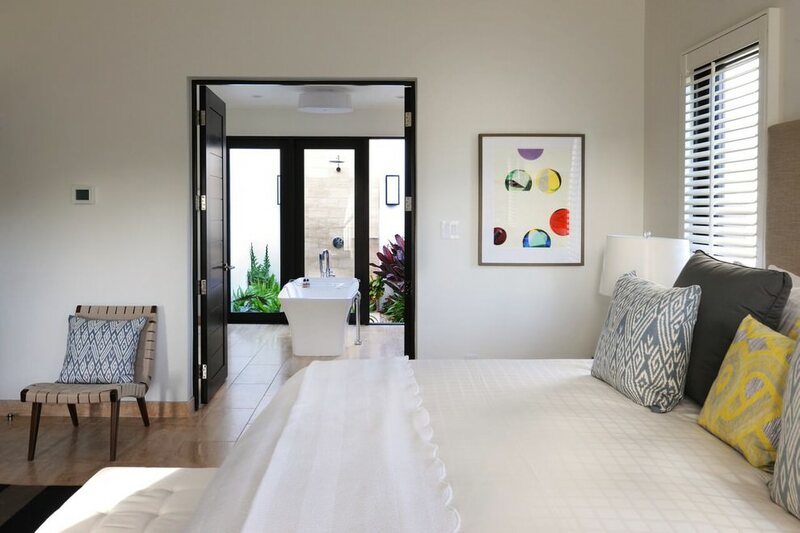 Tropic is all about lush greenery and open blue skies which is why bringing the colors of nature into the bedroom seems to be a good idea. However, you should choose the colors wisely based on what look you want to create. Using light weight furniture seems to be the right thing to do. 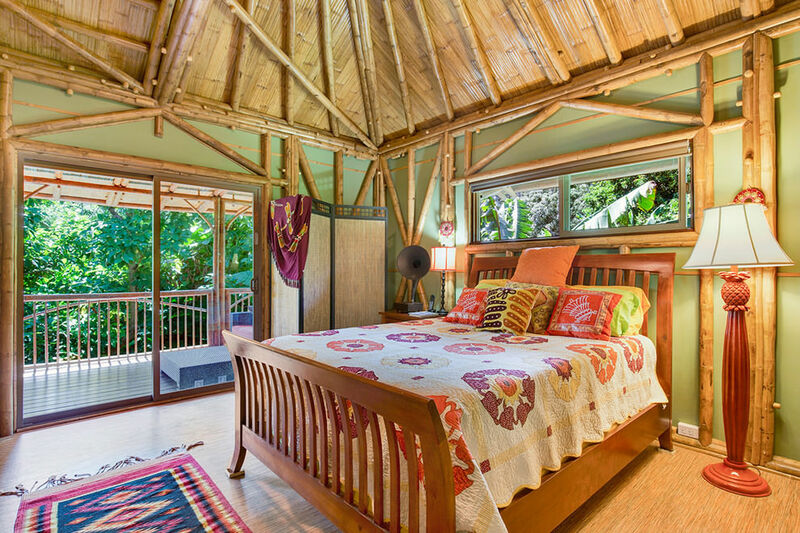 Do you have any other novel tropic bedroom ideas? If yes, then do share these with us.